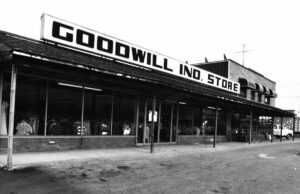 For over a century, Goodwill has helped individuals realize their full employment potential, become self-reliant, and emerge as contributing members of society. 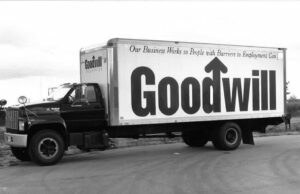 Goodwill began in Boston in 1902, to help people with disabilities. Locally, community leaders and United Way officials formed Goodwill Industries of Greater Grand Rapids in 1966 to serve people in Kent County. 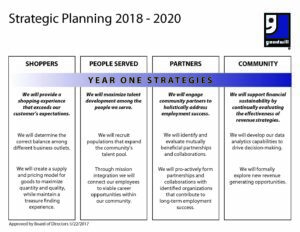 As a nonprofit organization, Goodwill uses sound business practices to provide job training and placement services for the unemployed, underemployed, etc. The organization satisfies the needs of the individual by developing vocational plans, training, and job opportunities according to each person’s abilities and desires. 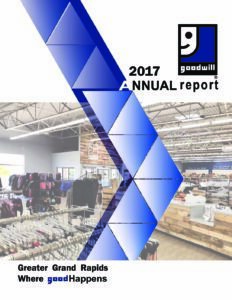 Within the span of 50 years, Goodwill Industries of Greater Grand Rapids has developed a variety of techniques and services to help people realize their potential for greater satisfaction. Goodwill’s stores provide revenue that support the multiple placement and training programs offered.